Hit and miss on Shasta Lake today! 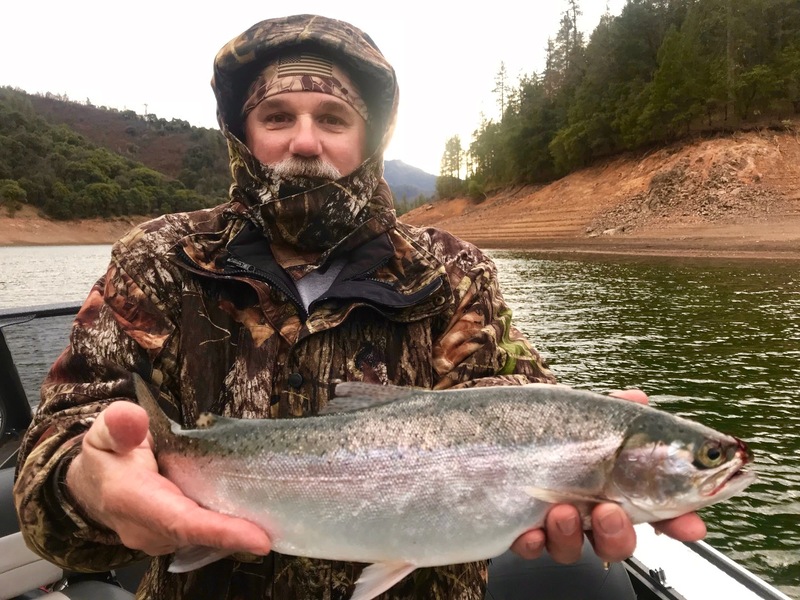 The rainbows are active and most of them are coming out of the deeper sections of the Shasta Lake arms. 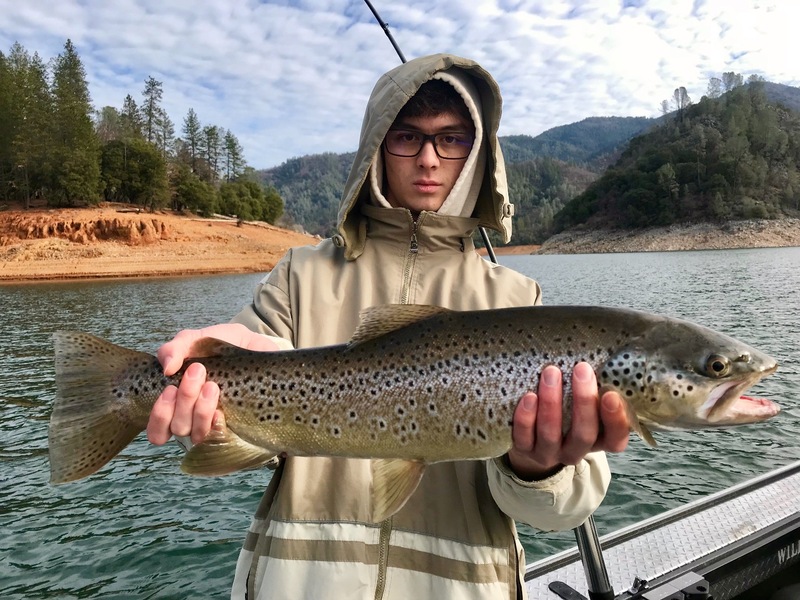 We fished Shasta Lake today and although the morning bite was good, we once again missed a few big fish takedowns. The mornings are just a tad breezy, which is good, but the afternoons are dead calm on the water. The fish aren't favoring the glassy surface and the activity has slowed dramatically when the wind dies down. Surface temps hovered around 49 degs this morning, so the lake arms are really starting to cool off. Thats still warm enough to keep these trout active and willing to bite, and there is warmer water down lower on the lake. 2.5 mph has been my most productive trolling speed and 2" silver spoons are seeing the most action this week. Tight lines! 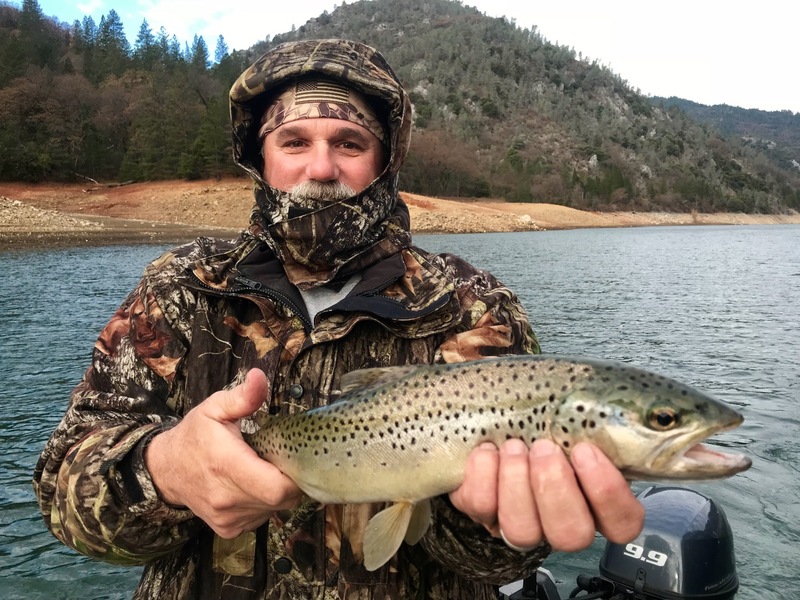 Shasta Lake trout fishing going strong! Big day on Shasta Lake!